Do you want to have a team of vibrant teachers at your studio? Are you ready to be part of a yoga business that inspires the community on a daily basis? Can you see yourself as a strong, capable leader–whether you’re guiding a team or part of one? 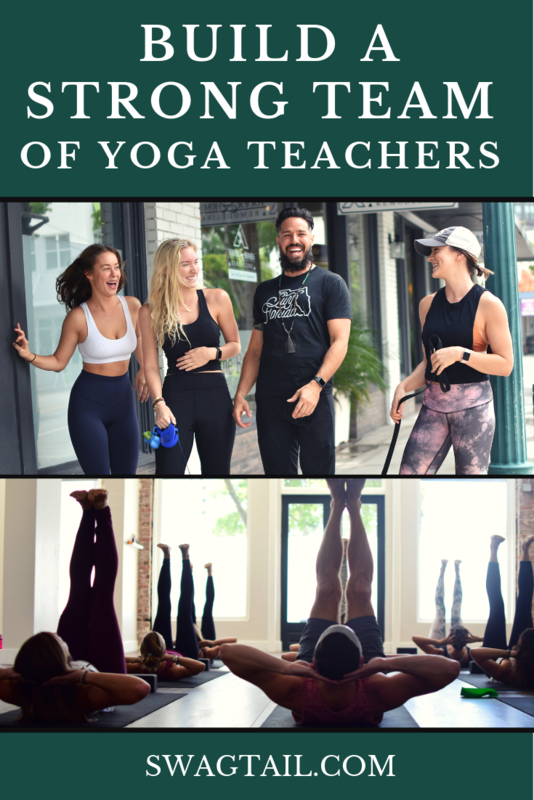 Owners of The Yoga Shack in Sarasota Florida demonstrate the incredible growth that can happen in your yoga business when you build a strong team of teachers. 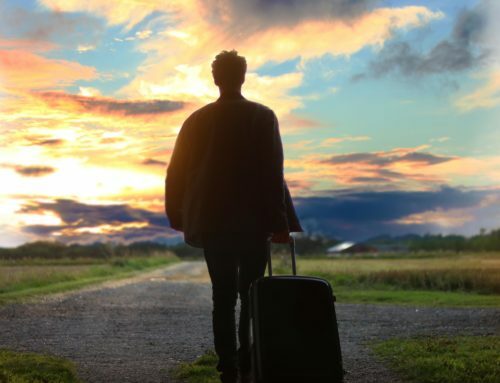 This article reveals how you can follow their lead into greater levels of success. Recently, I had the pleasure of sitting down with Courtenay Smith and Nikka Colorado at their downtown studio. When you walk into their newest space, you immediately feel like you’ve arrived home. The natural wood, clean lines, and bright sunlight welcome you into the foyer. A wall garden of succulents connect you with nature, even though you’re indoors. And, the large yoga room gets you excited to step on to your mat and sweat your heart out! The intentional design of the studio mirrors the deliberate actions taken by these two ladies on a daily basis to grow The Yoga Shack. Courtney and Nikka are dynamic, authentic, and personable. They’re also two powerhouse spirits housed in limber bodies with forward-thinking minds. They talk about their team like family, and they understand that true leadership requires a high level of personal integrity. Their business has exploded from a one-room shack to a three-studio success in just five years. Here are the relational elements that made this growth possible. Then after a [insert time frame] of managing a team of ten alone, Courtney met Nikka Colorado. 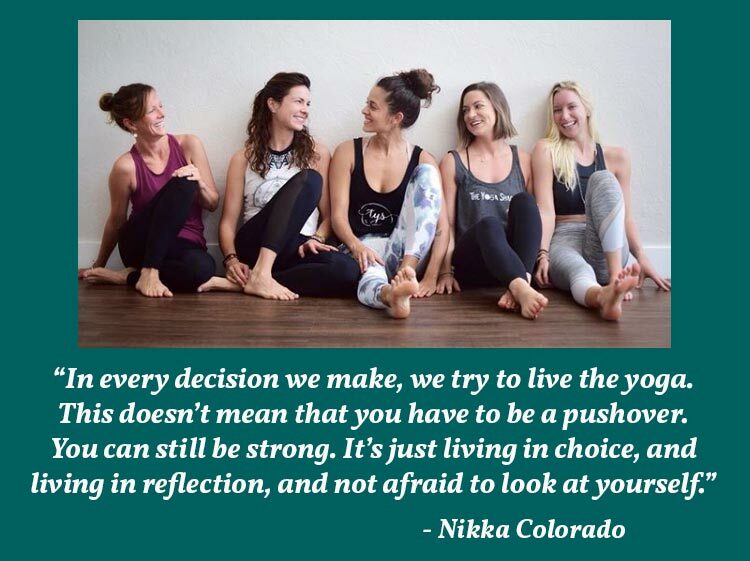 Nikka was on the same trajectory as Courtenay–both were certified the same year, started teaching immediately, and knew they wanted to own a yoga studio. They not only shared the same goals in the past, but their go-getter personalities keep them moving forward today. Courtenay and Nikka are intuitive, focused, and willing to do the work necessary to keep the business on track. Plus, a partnership is a great way to have a sounding board for ideas. You also have support when things happen beyond your control. Most importantly, shared goals can increase efficiency and harmony within a team. 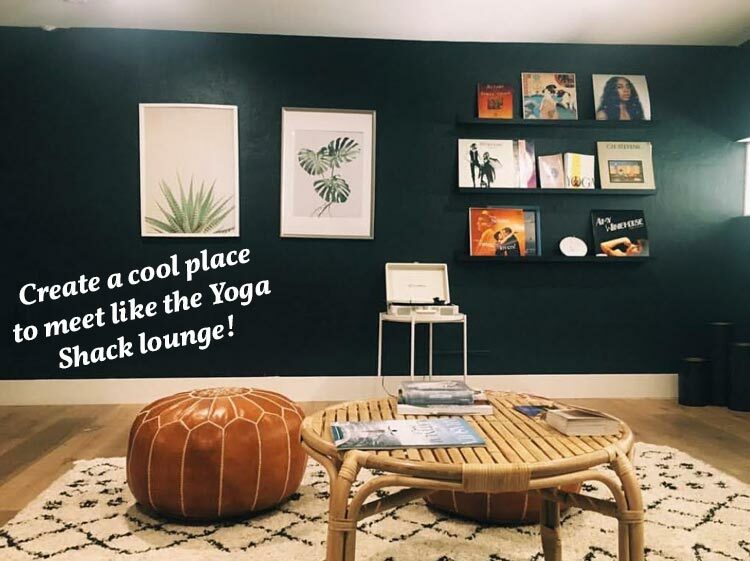 The Yoga Shack continues to be a model for growth because they not only set business goals, but they communicate them with their staff on a regular basis. Once you have a vision for your company, and specific goals to help you stay on track, it’s essential to share that message with your team. The key is to not just do this once, but to do it over and over and over again. To build a strong team, The Yoga Shack owners check in with their teachers all the time. This open line of communication extends to quarterly meetings with the entire staff. This individual and group collaboration increases the success of not only each teacher, but also the studio as a whole. 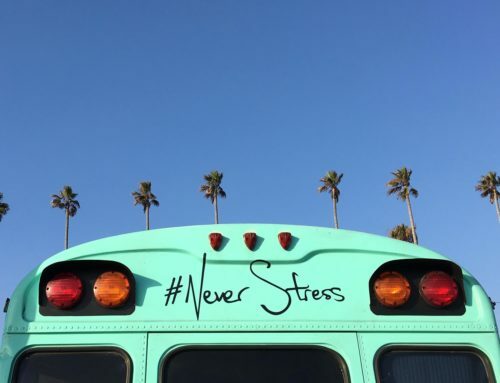 What goals do you have for the upcoming quarter? Year? How will your team succeed in reaching these goals? What steps are most important right now for my team? How often do I communicate with my team? (individually and collectively)? How often do we hold staff meetings? In what ways could I increase and/or improve my communication with them? 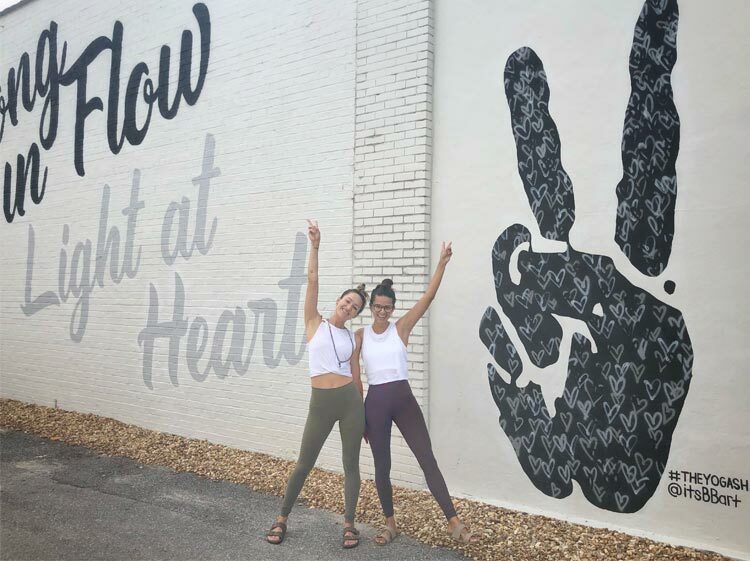 Communication from the top down, from owners to managers to teachers, is the most common flow of information within a yoga business. In fact, this is necessary if you’re going to share–and reach–the goals of your company. When you treat your team as equals, you invite an upward flow of communication as well. It involves asking questions of your team and listening to their needs. Both Courtenay and Nikka make sure that their team feels valued. They demonstrate compassion when teachers are having a tough time, and they work to create a solution that will benefit all involved. As a leader, you want to balance compassion with responsibility. That’s why specific systems within a yoga business need to be put into place. Each member of the team can then understand the rules of engagement and ensure they are on a level playing field with others. How does my team know they are valued by me? In what ways am I demonstrating compassion? What rules and systems are in place to ensure there is no favoritism in the group? In what ways can I improve my listening skills and hear the needs of my team? This is the principle of Svadhyaya, an element of self-care that is outlined in the 8 limbs of yoga by Patanjali. It’s the act of looking at yourself honestly and objectively. Celebrate your strengths. Learn from your weaknesses. By understanding all aspects of yourself through self-study, you have the power to convert unsupportive thoughts and behaviors into supportive ones. And, you can tap into the true, infinite nature of your being. As you make choices from this level of consciousness, your inner light shines more brightly. And your team will respect you more as an authentic and integrous leader. The Yoga Shack team is very similar to any other group in that it’s comprised of individuals with unique talents and interests. In fact, teacher individuality is what can add great strength to a yoga business. But many times studio owners will squash this potential by creating too many rules. They will provide too much feedback and seem to critical of its teachers. Give teachers a month or so to teach without critique. This will allow them to get their feet wet and wiggle out any unanticipated nerves when teaching. Get to know your teachers on a personal level. You can then adapt your leadership to their personality style. When you take the time to build a strong team of yoga teachers, you set each member of the group up for success. This also means that the students benefit from the aligned message the group portrays. But how do you add new yogis to your community? How do you continue to introduce yoga to others in your area to keep your class sizes and private lessons fully booked? The key is to invest time and energy into community events. Not only are these opportunities to market our services, but they are a way to spread the uplifting message of yoga. You might need to contact others at first to create these events. But then the momentum builds and your community will reach out to you for collaborations. Here at Swagtail, we’re huge fans of clear communication. And that involves the art of listening as well as speaking with clarity. While you might want to share the message of yoga at all times, it’s important to be present as a motivating force in your community, too. Courtenay recommends that you show up to cheer for others at running races. Be visible at farmers market. Go work out at other gyms–in fact, she’s a regular at Orange Theory herself. When you show up where others are, you gain credibility in your area. Plus you get to meet other business owners and develop friendships with all sorts of interesting people in your community. Building a strong team of yoga teachers requires numerous leadership traits. This includes the ability to create a goal and communicate that vision with your staff. It also involves listening to the needs of each individual, supporting them in a compassionate way, and making team decisions from a balanced perspective. 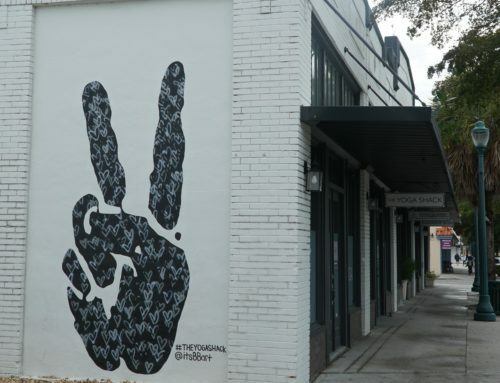 Both Courtenay Smith and Nikka Colorado, owners of the The Yoga Shack in Sarasota, do this well. Plus, they continually work on personal growth so they can be walking examples for their community. If you’re ever in South Florida, I highly recommend you visit any one of their fantastic locations! For their passion, commitment and a level of excellence inspires both staff and students alike! **Again, I thank both Courtenay and Nikka for generously sharing their time and wisdom. It was a pleasure to sit down with you both and I know your success will continue well into the future! Namaste!